NTSA Nabs Woman Who Stuffed 6 Children in a Car Boot - Kenya Car Bazaar Ltd. The National Transport and Security Authority (NTSA) has nabbed a woman who had six children stuffed in the boot of a Toyota Corolla. On its Twitter page, NTSA made an update using a photo of the six children in a car, that had gone viral on social media. The tweet explained that the owner, Monica Atieno Ocholla, had been arraigned in a Nanyuki court on March 21, 2019. 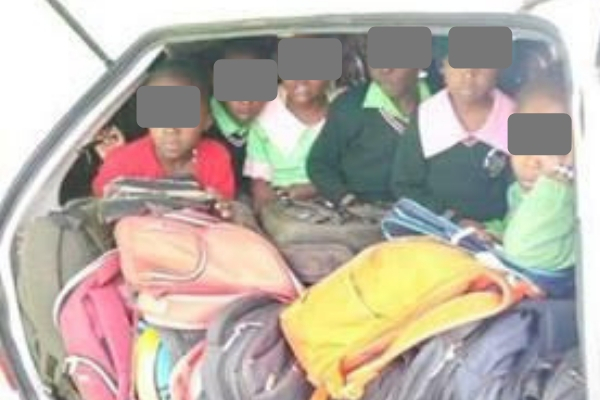 “The owner who is also the driver of the vehicle caught ferrying school children in the boot of her vehicle was arraigned in court (Nanyuki) on ( 21/03/19) & fined Kshs.26,000,” part of the tweet read. The photo had gone viral on Facebook, with netizens asking for action to be taken. NTSA had promised to deal with the issue. “This case has been brought to our attention, appropriate action will be taken. Keep it here for updates on action taken,” NTSA had noted. Meanwhile, a driver was arrested after an accident occured on the Marsabit-Isiolo highway, whereby he was transporting pupils of ages 5 and 14. The pupils, who were in a Probox car on Tuesday, were travelling along Marsabit-Isiolo highway when the accident happened. 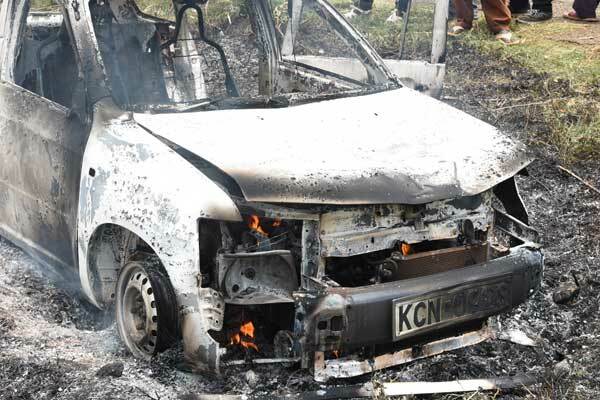 “Preliminary investigations indicate that the driver whom we have ascertained does not possess a driving license lost control of the vehicle after it veered off the road,” stated the Sub-County Police Commander Mbatian Lantai.